Welcome to Date Spots! In this game, your date has been showing you around all sorts of places. As the curious mod I am, I've stumbled across some of the pictures from your various date spots! Looks like you had a lot of fun. I really wish I could go there some day! However... where is "there"? This week your date has taken you to a small and peaceful town. This town has everything! Local gangs named after aquatic animals, a meteorite crash site, some abnormally vicious animals, and a ...giant footstep? If you can tell me the name of this town and what series it comes from, I'll reward you with three random cards! This round ends on June 20, 2013. This round is now CLOSED! Last round's answer: Rabona from Claymore. 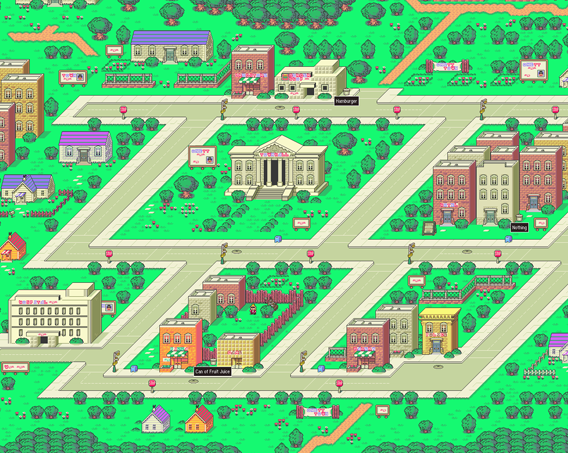 It seems to be the town of Onett from the Earthbound/Mother series.